SA's pay-TV market is dominated by a single, entrenched player, MultiChoice, with its DSTV offering. Although dominated by a single player, SA leads Africa's pay-TV market with 35.8% of the continent's total market share. This is according to a recent study done by telecom, TV and media business market research firm, Dataxis. It notes total pay-TV subscriptions across Africa amounted to 15.9 million as of Q2 2015, an increase of 18% over the 13.4 million recorded in the same period last year. Dataxis tracks all pay-tv operators in all markets worldwide. "We compile subscription numbers based on publically available information from listed operators, national regulators, government agencies and equipment vendors," says Gavin Patterson, research director at Dataxis. Where information is not publically available, the firm provides market analysis based on primary or secondary research of operators, national regulators, government agencies and equipment vendors. The top five pay-TV markets account for 65.4% of total African pay-tv subscriptions, says Dataxis, adding these are SA (35.8%), Nigeria (14.5%), Angola (6.5%), Tanzania (4.4%), and Kenya (4.2%). SA's pay-TV market is dominated by a single, entrenched player, MultiChoice, with its DSTV offering. According to Naspers' financial results in March 2015, DSTV has 5.4 million subscribers in SA. Meanwhile, On Digital Media (ODM) – whose StarSat pay-TV service was expected to create some rivalry for DSTV – is still limping along. This week, the Independent Communications Authority of SA approved the transfer of a network licence from ODM to StarTimes Media. 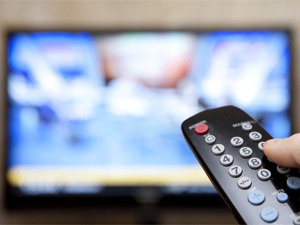 About 65% of the 13 million homes with TV in SA rely exclusively on free-to-air broadcasting services. "South Africa has the largest number of subscriptions due to a combination of factors, including population size, electricity penetration, a relatively developed broadcast (TV) industry, strong regulation, and various economic factors," says Patterson. He notes the main growth drivers for pay-TV uptake in Africa are different from market to market based on a number of different factors, including terrestrial free-to-air network penetration; deregulation of the terrestrial free-to-air market; competition in the terrestrial free-to-air market; availability of electricity supply; and affordability and other economic factors. "In general, however, satellite platforms have seen the majority of net additions due to limitations of terrestrial free-to-air network penetration as well as competition in the terrestrial free-to-air market." According to Dataxis, direct to home (DTH) is still the dominant pay-TV platform across the region, with 12.6 million subscriptions at the end of June, an increase of 17% over the 10.8 million at the end of June 2014. However, it says, DTH market share fell slightly from 80% to 79% over the period, while its share of actual growth was down to 74%. It adds digital terrestrial television (DTT) is the fastest growing platform – up 31% from 1.7 million to 2.2 million and increasing its overall market share from 13% in Q2 2014 to 14% Q2 2015. Approximately 22% of all new subscriptions over the period were to DTT platforms. "With recent moves to digital migration, DTT is now seeing the largest growth," says Patterson. In SA, the digital migration process has already kicked off in the Square Kilometre Array area of Kai Garib Municipality in the Northern Cape. However, the process may be delayed after a court ruling by the Pretoria High Court that free-to-air broadcaster Etv can appeal government's DTT policy to the Supreme Court of Appeal. The main disadvantage of DTH is fading of the signal due to rains. Heavy rains may result into outage for a few minutes in the DTH signal. Meanwhile, DTT is an implementation of digital technology to provide a greater number of channels and/or better quality of picture and sound using aerial broadcasts to a conventional antenna instead of a satellite dish or cable connection. Dataxis research also saw IPTV subscriptions increased 24% from 250 000 to 310 000, with multichannel multipoint distribution services up 10% to 460 000 and cable seeing just 4% growth to 270 000. Looking ahead, Dataxis forecasts 27.14 million pay-TV subscriptions at the end of 2018, with DTH accounting for 68% of the total, DTT 26%, IPTV 3%, MMDS 2% and cable just 1%. Enjoyed this story? Subscribe to ITWeb's Telecoms newsletter.